Cost to the owner of a $100,000 home will be $17.50 per year ($8.75 per half). infrastructure improvements to our Parks facilities. systems, wells and parking lots. WHY DO WE NEED ISSUE 42? people of all ages in our community and are a reflection of the quality of life in our Township. programs to improve the lives of our residents for years to come. 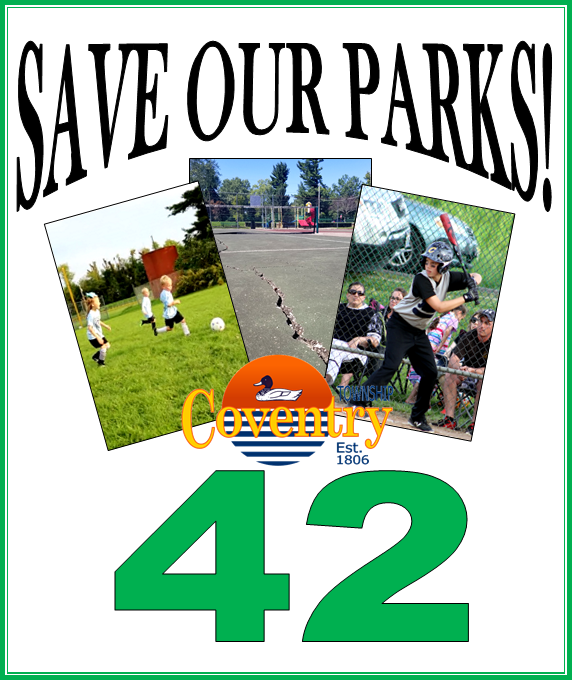 Without ISSUE 42 we will be forced to further decrease maintenance of our parks. Coventry Township Administrator, Anna Bryant at 330-644-0785, ext. 690.